Streaming giant Netflix dramatically pulled out of the Cannes film festival just hours before its official selection was announced Thursday. The US platform withdrew four films which were rumoured to be in the running to compete for the Palme d'Or top prize. They include Paul Greengrass' much-awaited "Norway" about the 2010 Utoya massacre, in which white supremacist Anders Breivik killed 77 people at a political summer camp. The move is a major blow to the world's top film festival, already facing a revolt by critics furious at a shake-up in the way its screenings are organised.Netflix's withdrawal -- which seemed to be timed to cause the maximum chaos as the last-minute selection was being made -- was in retaliation for a new Cannes rule banning movies that are not first released in French cinemas from the competition. The platform was already riled by a French law stipulating that movies cannot be streamed in France until three years after their cinematic release. French cinema owners protested last year at the inclusion of two Netflix films, "Okja" and "The Meyerowitz Stories", in the selection. 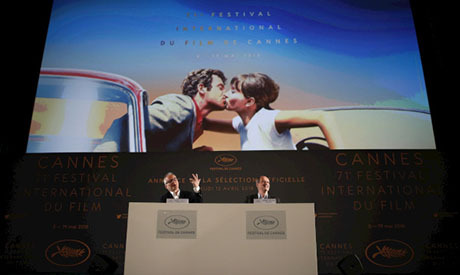 The outcry prompted festival director Thierry Fremaux to change the rules. Last month he hinted that what he termed "hybrid" films made for streaming services could only be shown out of competition. Netflix's chief content officer Ted Sarandos made no attempt to hide his irritation with Cannes and Fremaux in a scathing interview with the trade daily Variety late Wednesday. "The festival has chosen to celebrate distribution rather than the art of cinema," he charged. Despite the row with Netflix, Cannes has had no problem accomodating its rival, Amazon. Its films are shown in cinemas before they go online and in France they can be streamed individually four months after their release. It is Netflix's subscription-only model that falls foul of French rules. Embattled Fremaux last month incurred the wrath of hundreds of French and international critics for changing the timings of press screenings, which they said would play havoc with the festival. They argued that critics would now have to wait until the day after gala red carpet premieres to see many of the films. But the French producers union said it backed Fremaux's changes which did away with the tradition of having press previews before the gala premieres. Australian actress Cate Blanchett will preside over the main jury this year with the Puerto Rican-Spanish star Benicio del Toro who is heading the jury in the Certain Regard section. The distributors of the American director David Robert Mitchell's "Under The Silver Lake" said Thursday that the story of a man obsessed with the strange circumstances of a billionaire's murder had been included in the main competition.